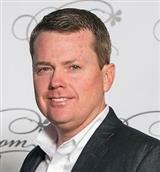 Hello, my name is Keith Knight, professional real estate consultant with Wallace Realty in Salisbury NC. If you'd like to, or need to sell your home I can show you how I can help you get more for it in a shorter time. If you'd like to buy a home you'll receive step by step personal service to find & purchase the perfect home for you. Either way contact me to schedule an appointment for a FREE consultation. I have over 15 years of experience closing many transactions per year. Take a look at my reviews & ask yourself if you'd like someone like that working for you. Contact me today!